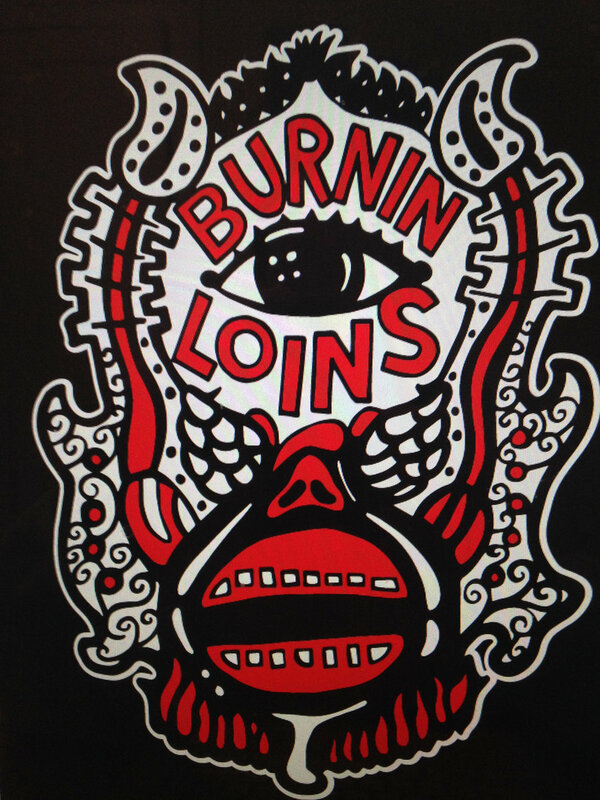 Burnin Loins’ self titled debut album has been released. Vinyl and CDs available for purchase by visiting our store here. Digital download versions available on Bandcamp and Apple Music/iTunes. Burnin Loins is a Cleveland, Ohio based rock band comprised of guitarist Nikhil Chand, bassist Justin Husher, and drummer Brent Gemmill. The band formed in 2013, and continues to develop their hard-driving brand of rock music. They often identify their style as “Pothole Rock”, creating blistering sound and performances that embrace and complement Northeast Ohio’s cold winters, gray skies, crumbling alleyways, and of course, walleye. “You can expect plenty of blues, rock and roll and rowdiness from Burnin’ [sic] Loins. This Cleveland-to-the-core three-piece is full of dirty, frenetic punk.” – Cleveland.com, 9/6/2017. A spinoff of the Cleveland Lottery League, Burnin Loins’ success is largely due to the disparate musical stylings of its members. As a group, they have carved a path forward via its members being forced to explore songwriting far outside of their individual comfort zones. As a result, the band’s sound can be described as a refreshingly unidentifiable mix of rock, punk, metal, and blues. Their self-titled, independently produced debut album was released in July, 2017. They continue to perform regionally throughout Northeast Ohio, showcasing at rock music clubs, music festivals, and on college radio.